Do you have some wishes about what you want to see during your visit to the Faroe Islands? You might have limited time and want to get as much as possible out of your time here. You are welcome to tell us what you want and we will try to fullfill your wishes. There er many beautiful places, that are unknown to tourists. We can also arrange a tour to the “must-see-places”. We know our beautiful country quite well and have been hiking aroud all the mountains. We are ready to drive, hike, and trek with you. We have our own cars, so we can arrange tours for you as individuals or as a group. From Tórshavn to the highest waterfall Fossá. We can guide you to a trekking tour where you can stand behind the waterfall and enjoy the view. From there we drive to Tjørnuvík and after that to Gjógv and finally to Saksun. Duration: 9-10 hours. We pick you up at your address in Tórshavn and bring you back. Please send an inquiry to faroeguide@faroeguide.fo, if you would sign up for this tour. From Tórshavn to Sørvágur. Hike to Út í Sund, where we enjoy the beautiful view over Tindhólm. This is a 4 hour hike. After this we drive to Gásadalur, where we walk around and see the stunning waterfall “Múlafossur”. We drive on the old mountain road on Streymoy, where the view is beautiful, if the weather is clear. Tórshavn-Saksun-Fossá-Tjørnuvík. We serve a lunchpack with a sandwich and some faroese specialities. 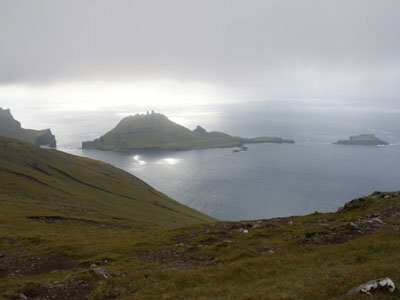 This video can give you inspiration about what to see in the Faroe Islands.